When I first planned this series, I wasn’t quite sure what I would do about the Disney Princess movies. They are, after all, in a way different takes on similar ideas. But an article comparing all of them didn’t seem feasible so I originally intended to focus on other movies first before making a decision about them. But then Lindsey Ellis did an excellent video which compared Pocahontas with Moana. Her angle was the question how Disney’s approach to other cultured developed over time and she made a number of good points. Though I did feel that she also missed a few and I considered doing my own take on the same topic, but with a broader focus. There is after all more to a movie than just how it handles sensitive topics. I hadn’t really decided yet if I should do it when I got a reviewer request for exactly that article. Well, I frequently ask my reviewers for suggestions, and I am always pleased when I get one which really calls out to me, so here it is,my personal take on Pocahontas vs. Moana. There are naturally some aspects all princesses have in common – usually with one notable exception. With the exception of Jasmine and arguably Aurora, they are all the leads of their respective movies. With the exception of Merida they all sing and have cute sidekicks. And naturally they are all beautiful and have some sort of goal they want to reach (though the nature of said goals changed a lot over time). 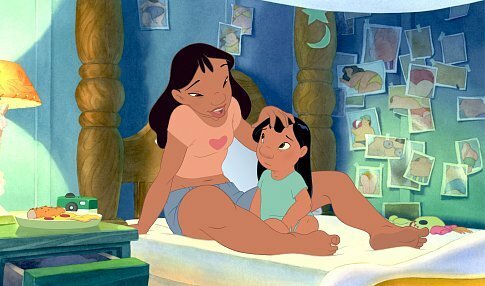 But Pocahontas and Moana have some additional similarities. Their stories are not based on European fairy tales, but on the culture of native tribes whose way of life was destroyed by colonisation. They both have some sort of connection to nature which gives them access to special power, something none of the other princesses have (Elsa is technically not the Princess of Frozen, Anna is). And they are both the daughter of the chief and conflicted about accepting their position in the tribe. But there are also a number of important differences, some of them based in their characters, some or them based in the tribe itself. 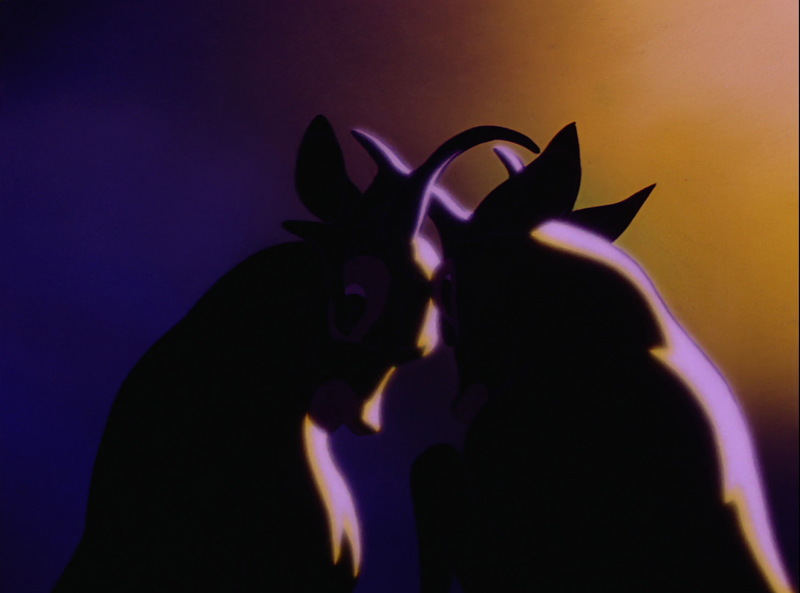 Pocahontas’ big conflict boils down to not wanting to get married to Kokoum. Moana’s dream is to be a sailor, but she is supposed to be a future leader. Pocahontas’ is portrayed as free spirit, spending her time in roaming in the woods. To be honest, she comes off as irresponsible and lazy at times, and I don’t think that this is intentional. Moana on the other hand is shown to be integrated in the tribe, doing clearly her part in society. Pocahontas is deeply connected to the spirits and decides early on to follow her own path, Moana initially looses the connection she has to the myths and history of her ancestors in favour of following the wishes of her father. Both end up leading the tribe on a new path in the end, but Pocahontas points them towards a new future while Moana pushes them to reconnect with their roots. And now I’ll say something which will most likely earn me a couple of angry comments: I think that both of them are less interesting than they could have been, though for very different reasons. Pocahontas motivations and goals are too vague to really root for her. She is more defined over what she doesn’t want – marrying Kokoum – than clearly stated goals, and her main reason for the actions she takes in the movie is that she literally “feels” that this is the right thing to do. Meaning she has some sort of dream or is guided by the wind, allowing her very little in terms of agency. There is little about her personality which goes past “free spirit connected with nature”, though to her credit, she gets a little bit character development towards the end when she decides to stay with the tribe instead of fulfilling her desire to stay with John Smith. Except I am not sure if this actually is character development and not just another instance of her just doing what the wind tells her. My issue with Moana is more complicated. In isolation she works fine, especially since the child version of her has so much personality. There are some settled touches I really like, for example her putting the protection of a baby tortoise over her desire to get a beautiful shell. And I really like that her first attempt to go past the reef fails. She first needs the right kind of boat and then she needs to learn how to navigate properly. So, if I like all those aspects, why do I still think that Moana could have been a better character? Because there are a long string of princesses before her which had similar personalities, and most of them were pulled off better. Don’t get me wrong here: I don’t necessarily mind the concept of a young girl having a dream and coming of age while trying to fulfil that dream. But if you do the same basic concept so often, it should feel organic. Disney has done the “I want”-princesses since the Disney renaissance. But do you know what they had in common? Either their desire is driving the story or the story defines their desire. If Ariel hadn’t dreamt of seeing the human world, Ursula would have never been able to lay her little trap. If Rapunzel hadn’t wanted to see the lanterns, she would still sitting unhappy in her little tower. Those are all leads whose desire lead to pretty much everything which happens in the story. But there are also a few for which it is the other way around, where events out of their control lead them an a specific path. Mulan wants to proof her worth, but she certainly doesn’t dream of being a soldier, and yet that is exactly what she becomes. Belle is unhappy in the little village she is living in and longs for adventure, but once she ends up in said adventure, she is everything but happy about the situation, since getting captured by some sort of beast is certainly not what she had in mind. In Tiana’s case it is a mixture of both: Her desire to own a restaurant has no relation whatsoever to Naveen’s plight, but without it, she would have never kissed him. Moana on the other hand dreams of being a sailor and then is forced to go on an adventure which requires of her becoming one. Wow, this is convenient. There is also no particular reason why that should be her dream. Ariel finds all those strange things the humans create and is fascinated by it. 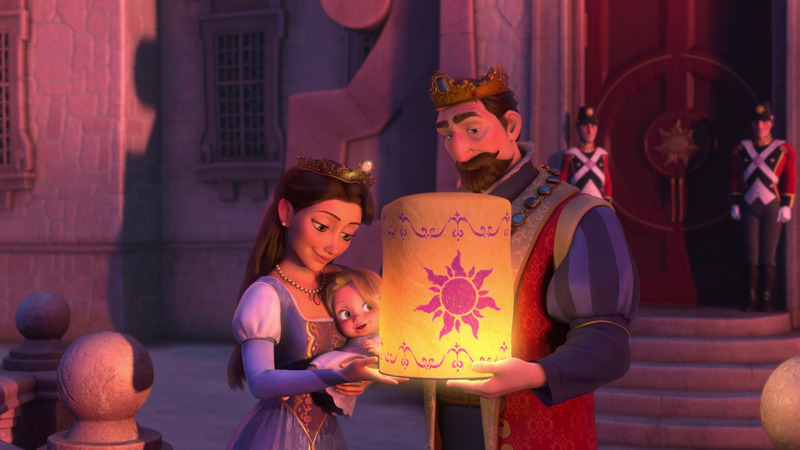 Rapunzel sees the lanterns every year for her birthday. Belle dreams of adventure because she has read all those books and feels uncomfortable in her village. Tiana has all those memories of cooking for her father and sharing her meals with the neighbourhood. Moana likes the ocean because…it is there? And it played once with her when she was a child? See, usually this wouldn’t be such a big deal, at least not quite (I will get to this later on when I discuss structure). But in the context of the Disney Princess Franchise it feels like Moana wants to be a sailor for one reason alone: Because it is kind of expected for a princess to have some sort of dream and the desire to go against social expectation. It feels like the Disney went for the less interesting story by fulfilling some sort of check list. Moana deciding to brave the waves would be so much more compelling if it were something she decided to do because the stories of her grandmother convinced her that this might be a way to rescue her people. That she is doing something she always wanted to do anyway makes her actions a little bit less heroic in my eyes. And that is a real shame. Having a protagonist which starts out satisfied with her position in live and then setting out to fight a threat against it while also discovering her own culture on a deeper level would have been a new and fresh approach to the Disney Princess franchise. Instead they fell back in familiar patterns, cheapening the narrative in the process. I already addressed this point briefly, but let’s analyse this a little bit further. Pocahontas relationship with her father is fraught with clichés. He only wants the best for her, but doesn’t really listen to her desires. He sees her mother in her. And he finally accepts her wisdom. The problem in all of this is that the conflict isn’t really much of a conflict because it is kind of one-sided. Pocahonta’s father isn’t really aware of what she does all day, and when he gets angry with her over Kocuum dying, it is because of the wrong reason. He believes he died because she was careless and has no idea about her relationship with John Smith until the very last moment of the movie – at which point he listens to the wind and immediately changes his mind. Moana’s father on the other hand knows exactly what her dreams and desires are, and the conflict between them is expressed in arguments instead of two people basically talking past each other. But the movie really drops the ball when it comes to the solution to the conflict. See, there is actually no reason whatsoever why Moana’s father should suddenly change his mind about leaving the island at the end of the movie. Even if he would be ready to believe her story about finding a Demi-god and rescuing the sea, why should he suddenly develop a desire to lead his people away from a secure place? It is like the movie has suddenly forgotten the original conflict. As sudden as the change of mind of Pocahontas’ father is, at least he has some reasons for relenting, above all seeing a bunch of foreigners with what he knows are dangerous weapons ready to kill his people, and the movie takes its time to show him making his decision. In Moana on the other hand something which was introduced as central conflict is just dropped halfway through the movie and then the story suddenly jumps to it already being solved without really showing the steps in-between. So, every princess needs someone or something to overcome. In the past, this tended to be the classic Disney villain. Radcliff falls into the category, and he ticks off the usual boxes: Flamboyant, greedy and scrupulous. More recently though, Disney has started to do the villain with a twist – meaning, they often go for a surprise villain or reveal something unexpected about the villain in question. I am not overly found of this particular trend, partly because I just miss the dramatic, over-the-top performances of the classic Disney villains, partly because I am a little bit too good in spotting the twist from a mile away. So far Disney only got me once and no, that one time didn’t happen to be Moana. That is not necessarily a knock against the movie, though. For one I am very aware that, without wanting to brag, not everyone is as genre savvy as I am, especially not the intended target audience of the movie. And two, I think it is way more important that the villain fits into the themes and the story of the movie. So, what are the themes? Pocahontas is not just the story about two star-crossed lovers, it is above all about the clash of two different cultures and overcoming prejudices, making the addition of an outright villain deeply problematic. If you want to say something about the human tendency to see oneself as superior to others, you need to allow the characters to act thoughtless and brutal on their own merits, instead of providing a very relativistic view on the whole process of colonizing America by symbolically putting the guilt over what happened to the native Americans on a few bad white people, thus implicit suggesting that the other settlers were just mislead. And I don’t think that this excuse really flies. The settlers had a lot of reasons to go to America, some more sympathetic than others – it is hard to blame someone who is fleeing from poverty or prosecution for taking the chance of a better future – but no matter what their reasons were, they still took away the land from someone else and they still destroyed countless tribes and their culture in the process. This is the kind of national guilt which has to be acknowledged, not shuffled away by blaming a few especially brutal examples of leadership. In short, the presence of Radcliff undercuts Pocahontas as a movie. He doesn’t even work on a narrative level. The point of a villain like this is that there has to be some sort of emotional relationship between him and the heroine, as well as some sort of final confrontation. But Radcliff isn’t aware that Pocahontas exists until the very end, and he never interacts with her. Te Kā doesn’t interact with Moana until the end of the movie either, but in this case it works because this is an entirely different kind of villain which fits perfectly into the themes presented. Moana is largely about rediscovering your cultural roots, but above all about identity. Consequently it makes sense that the “villain” needs to rediscover her true identity, too. And it makes sense that Moana’s journey is about following the myths of her heritage, with Te Kā providing the big boss battle for the finale. Let’s start with Moana, because that is faster done. After all she is alone with Maui for the majority of the movie. And while Maui isn’t portrayed as love interest for Moana, his role in the story is pretty much the same, minus the kissing naturally. He guides her, he challenges her and they develop a relationship with each other. Maui also has his own arc which plays into the bigger themes by realizing that he shouldn’t base his own worth on the adoration of others. And that he is more than just a magic hook. John Smith has a change of heart too in that he realizes that natives aren’t savages after all, but considering that this change happens pretty much within one song I hesitate to call this an arc. This is a guy who proudly proclaims that he improved the live of savages everywhere, and that he would gladly shot them if they aren’t appreciate of his improvements – mirroring the typical colonist mind set – and then suddenly does a 180 just because Pocahontas sings about the colours of the wind. I mean – really? And then he is the perfect hero for the rest of the movie. Sigh. Then there are Nakoma and Thomas. Nakoma’s purpose in the story is to be Pocahontas sounding board. Her role is to voice doubt over the actions of Pocahontas. The problem is that her point of view isn’t given any relevance. Both her and Thomas seem to be mostly around to make the protagonists look better. Pocahontas sneaking around leading to Kokoum dying is pretty much laid on Nakoma’s feet because she told Kokoum about the meeting, and John Smith survives the attack of Kokoum without having to kill him because Thomas does the dirty work for him. Consider this, the representation of the colonist mind-set isn’t even allowed to kill in self-defence, which would underline the questionable position of even well-meaning explorers, instead he heroically takes the fall for someone else. At the end of the day, the support of Pocahontas had the potential to be the more interesting one, but falls flat in the end. Moana on the other hand is oddly isolated and Maui is kind of stealing the spotlight from her on multiple occasions. Thankfully Maona also has pretty good comic relief. Did I ever mention that pigs are my favourite kind of animals? It’s true, I even have a whole collection of pig figures at home. Most of them are from my childhood since I stopped actively collecting ages ago, but I really, really adore pigs. And sometimes I have the feeling that Disney is trolling me about it. After The Black Cauldron, Moana is the second Disney movie which puts a pig into its marketing just to have it off-screen for the majority of the movie. And yes, I get the joke. But I was too disappointed to actually appreciate it. Bad Disney. Bad, bad, bad! And just because I do get the joke, it doesn’t mean that I think it is a good one. In fact, the self-referential humour and the occasionally modern joke is easily the weakest aspect of the movie. It is very distracting. Heihei for example is absolutely hilarious except for the one scene in which he is used to “tweet”. But while Heihei is easily the funniest aspect of the movie, I think Tattoo Maui is actually the best kind of comic relief. Not only is he funny, he also tells us a lot about Maui himself. It’s like seeing Maui’s inner monologue play out. Pocahontas doesn’t do a lot of humour, but what is there fits into the setting. There are no modern or self-referential jokes which take me out of the movie. And I appreciate this. On the other hand, though, the comic relief feels really disconnected. Flit is pretty much useless. Meeko gets a lot of screen time but the majority what he is up to is not at all related to Pocahontas story (with one notable exception). This is worse than the mice in Cinderella, which do take up a lot of screen-time, too, but everything they do is directly related to her. There is also something iffy about native Meeko being portrayed as this thieving raccoon who keeps annoying poor foreigner Percy. The only comic relief which kind of adds to the story is Radcliff’s servant, Wiggins, who is both funny and a good sounding board for the villain. But, as I already pointed out, since the villain itself shouldn’t even be in this particular story, he is by association entirely superfluous, too. Even though I prefer the overall style of humour in Pocahontas due to being less distracting, Moana’s comic relief works better for me because it adds to the story. And, to be honest, whenever they don’t go pop culture references, the jokes in Moana are funnier. Or at least speak more to my particular sense of humour. I already expressed some grievance over the role the wind plays in Pocahontas, especially the way it robs her of her agency. But I have some issues with the ocean, too. It feels a little bit like the writers have put a cheat code into the movie. Whenever there is a situation Moana can’t handle on her own, the ocean turns up and helps her. It would be one thing if this were Moana’s own power she had to learn to control, or if there were a specific set of rules when the ocean can intervene and when not, but nope, there are no rules to it, and if Moana needs some help to bully Maui into teaching her, well, she gets it. To the credit of the movie, though: The ocean not only allows Moana to make her own decisions and have her own agency, when she throws the heart away even this decision is accepted. When was this ever the message of a chosen one plot? That it is okay to give up and that one shouldn’t face a challenge just because of a prophecy or a vague concept of fate? This sentiment is even echoed by Moana’s Grandmother Tala, who is, btw, a way better spiritual leader than Grandmother Willow is to Pocahontas. Pocahontas is constantly told to follow signs, or arrows, or dreams or to listen to the wind. There is never any discussion of what the presence of the intruders might mean for the future of Pocahontas’ tribe, or even how the situation at hand could escalate. Moana on the other hand is constantly told that she has to make her own decisions and accept the consequences of said decisions. She can follow the lead of her parents, but then the island might not have a future. She can leave and try to fulfil her role as chosen one, but there is no telling if she will succeed, no guarantee that this is the right decision. And, most importantly, no judgement if she fails or decides to give up. I won’t go too deep into the different literature theoretical models for the hero’s journey, but in its very basic it boils down to departure, initiation and return. Meaning the hero – or heroine in this case – hears the call to adventure, faces the trials put in front of him and finally returns home a changed person. Moana plays this trope pretty straight. Her story could be straight from Greek mythology, with her sailing across the sea and encountering numerous monsters. This has the effect, though, that a lot of what happens in the movie feels kind of random. I’ll be honest here: The first time I watched it, I missed all the explanation about the various monsters in the starting narrative, because I was only paying attention to Moana’s reaction to her Grandmother’s stories and not to what said stories were about. But even with this knowledge in mind, mentioning the existence of some monster is poor way to set up said monster appearing down the line. It’s a little bit like the obligatory scene in the James Bond movies in which James Bond gets a bunch of gadgets from Q, all of which he will conveniently need later on. Just mentioning said monsters doesn’t make their appearance later on more logical, since there is a lot in the narrative which doesn’t really grow out of what happened beforehand. For example: That Maui needs to go to the world of monsters to steal his hook back makes kind of sense, even if it feels like a detour just throw in to give the two leads time to get to know each other. That Moana jumps after him into a seemingly bottomless hole doesn’t. She is human. How can she even expect to survive this jump? There is no reason whatsoever for her to follow Maui other than her being the protagonist of the story. 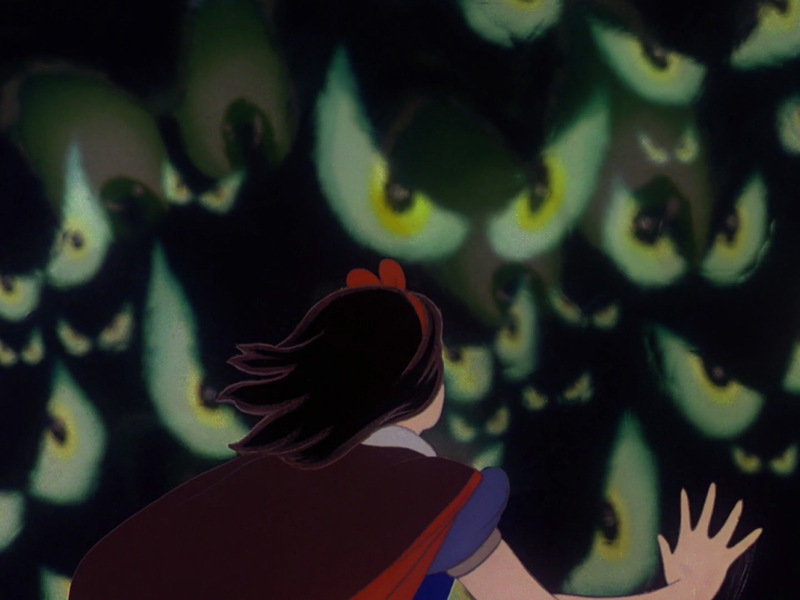 And then, later on, they encounter even more mythological monsters outside of the monster world. They don’t even feature as part of a hurdle to overcome or inhabitants of a dangerous part of the ocean, they just turn up so that Mana gets a nice little action scene in the middle of the movie. And, as I mentioned already, the movie more or less skips over the third part of the heroes journey. The return is shown, but only in a fast montage, there is no true weight to it. And speaking of weight, the same can be said about the “All is lost”-moment. Some of my readers might now wonder: Wait a minute, didn’t she just praise how Moana handles this moments by not putting pressure on the protagonist to fulfil a specific destiny? And yes, that is true, the Moana overcoming her despair is wonderfully written. But her arrival at this point isn’t. Through the whole movie Moana stubbornly pushes forward to do what her Grandmother wanted her to do. And then she just gives up basically because Maui gives up. Maui having a crisis at this point makes perfectly sense because his whole being is wrapped around the hook. But Moana giving up is completely out of character for her and not really motivated by the narrative. Even if she failed, even if Maui abandons her, the narrative has already established that Moana will always push forward in the end. But it is time for the “All is lost”-moment and Moana, not Maui, is the designated protagonist, so we get to see her having a crisis while Maui’s pivotal character moment happens off-screen. The ticking clock is similarly clumsily handled. Early on the movie introduces the notion that Moana’s people are in danger because the island is not save any longer. But there is no time-frame give for how long they can survive under the circumstance, nor do we see the darkness creeping further and further into the island. There is one dream sequence to remind the audience what is at stake, but without any notion of how much time Moana actually has or how much the danger has grown at this point, it doesn’t create the urgency it should. This decision by the writers is especially puzzling since showing the slow destruction of the island would be a really good explanation why Moana’s people have to start travelling again at the end of the movie. Pocahontas’ hero’s journey is more spiritual than physical. She literally hears the call of something new, goes to explore this new world through the eye’s of John Smith and returns home in a sense that she eventually rejects the notion to turn her spiritual journey into a physical one. On its own this is a pretty strong concept which suffers in execution only due to the unwillingness of the movie to seriously tackle the themes it claims to explore. Consequently Pocahontas’ “All is lost”-moment is a little bit contrived, too. If John Smith were actually guilty of killing Kokoum, even if it were in self-defence, it might make a little bit more sense to not speak up and explain that Kokoum attacked first. And to be honest, it does make Pocahontas’s look a little bit callous because she waits until the very last moment to act, and even then she only does it because she gets a sign that she should. But, to the movie’s credit, it makes the most of the moment. Especially by adding a ticking clock which works. If Pocahontas doesn’t reach his father by dawn, John Smith will die. In this case the audience not only has a specific time frame, but also the visuals to match it. It sees the conflict which is about to escalate while the heroine mobilizes all her strength to prevent the catastrophe in the making. By now I have discussed at length the narrative elements of those movies, but what about the technical aspects? 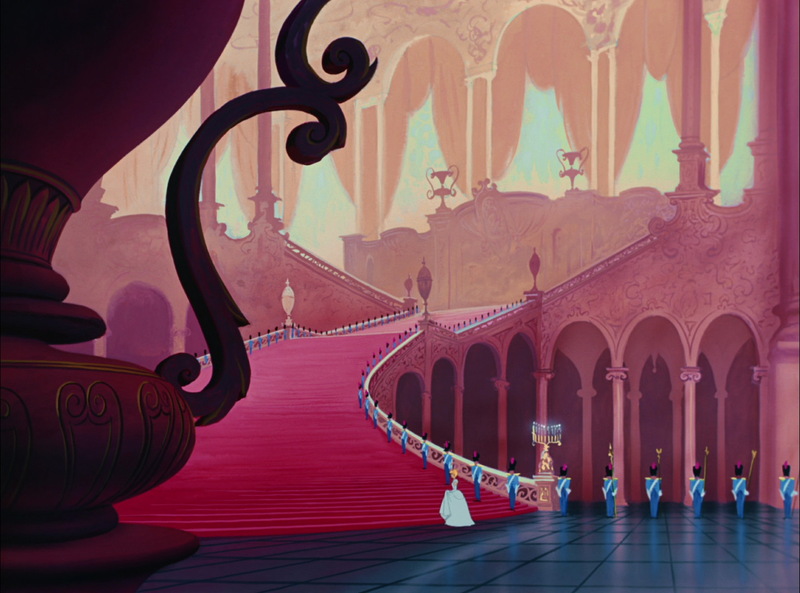 Music is after all an important element of most Disney movies, especially the Disney Princess movies. And in this case, not only are both typical Disney musicals, you can also nearly match up the songs to each other. Moana starts with “Tulou Tagaloa” (which plays over the Disney logo) and “An Innocent Warrior” to set the mood and introduce the culture. In Pocahontas “The Virginia Company” (which represents the settlers) and “Steady as the Beating Drum” (which represents the Powhatan tribe) fulfils the same function while also introducing the cultural differences between those groups. “Where You Are” is basically a song about why Moana should be happy with the live she leads. 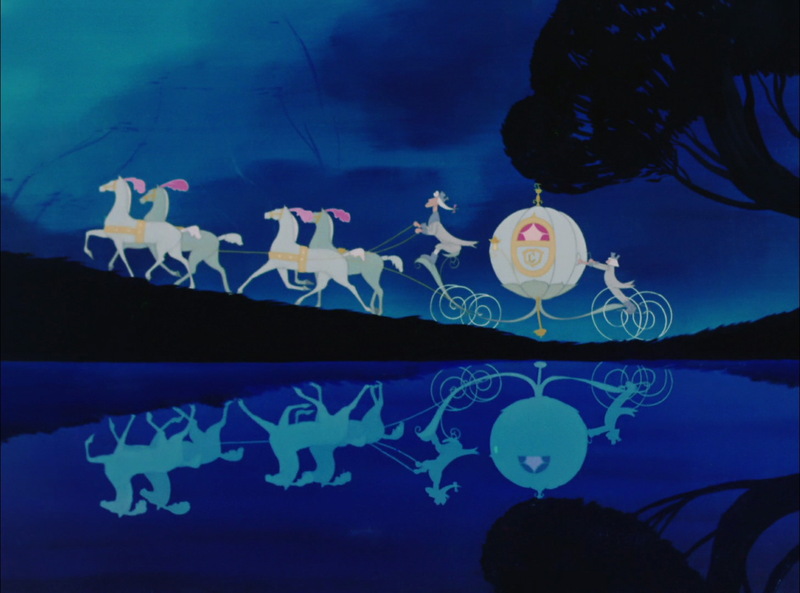 The Reprise of “Steady as the Beating Drum” conveys the same message to Pocahontas. Both express their desire for something else in their respective “I want” songs “How Far I’ll Go” (Moana) and “Just Around the Riverbend” (Pocahontas). Though Moana gets way more mileage out of “How Far I’ll Go” through repetition through the movie than Pocahontas gets out of any of its song, since Alan Menken prefers to use the score once a specific theme is established instead of filling the movie to the brim with songs. Even “I Am Moana (Song of the Ancestors)” ends in the familiar reprise of “How Far I’ll Go”. This song is mirrored in Pocahontas with “Listen with your heart” which also happens to contain a message of staying true to yourself. There is not direct parallel song to “You’re Welcome” in Pocahontas, but John Smith’s lines during “Mine, Mine, Mine” fulfil basically the same function to flesh out the co-lead. 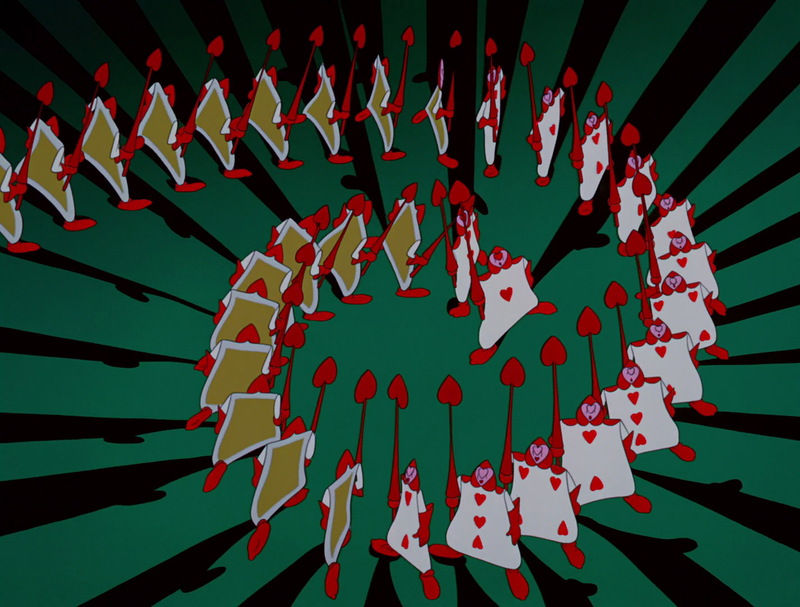 And “Mine, Mine, Mine” has in turn an equivalent in “Shiny”, which is also a villain song about greed. The two songs which contrast the most with each other are “Know Who You Are” and “Savages”. Both are played during the respective climax, and both contain the core message of their respective movies. But “Know Who You Are” is a very calm a soothing tune while “Savage” is the exact opposite, created to raise tension. This is not a knock on either of those songs, though, both are a perfect fit for what their respective movie is going for. Amusingly “If I never knew you”, the one song which doesn’t have a thematic equivalent in Moana, is also the one which eventually got cut from Pocahontas (yes, I know it is back in the extended version, I am discussing the theatrical released version). But its themes is still in the movie itself and it is played over the end credits, so I feel I should mention it here nevertheless. It is no surprise that there is no song to mirror that one, though, considering that this is a love song and Moana doesn’t have an outright romance. But the songs most worth discussing here are “Colours of the Wind” vs “We Know the Way” and “Logo Te Pate”. “Colours of the Wind” has two functions: On the one hand it is a passionate plea for respecting other cultures and nature itself, on the other hand it is a montage song, played while the movie shows the two leads forming a bound with each other while one is teaching the other. Which is exactly what “Logo Te Pate” is used for, too, covering a number of scenes showing Maui teaching Moana how to sail, while “We Know the Way” celebrates the sea faring tradition of Moana’s people. What is notable is the heavy use of, I think it is Samoan, in Moana’s songs. Music and language are two of the most essential elements in any culture. They are communication and expression. Which is why it was a brilliant move of Disney to hire Opetaia Foa’i, leader of the Ocean music group Te Vaka, for the soundtrack. It is not my intention to diminish in any way the work of Lin-Manuel Miranda and Marc Mancina. Miranda is the current Broadway star and Marc Mancina a reliable Disney composer who has a particular knack for using traditional instruments and tunes in their work. But if you look in the track list for Moana you’ll discover that Opetaia Foa’i is responsible for every bit of Samoan which is sung in this movie, while Miranda is credited for the more Broadway styled elements. And I feel that due to Miranda’s recent success, the contribution of Opetaia Foa’i has been unfairly overlooked. “Logo Te Pate” is entirely sung in a foreign language, but it doesn’t matter, because this is not about the actual meaning of the words, this is about the expression of a culture. Pocahontas doesn’t really have this. At the very begging of “Steady as a Beating Drum” there are a few lines which are vaguely Powhatan, but overall, the soundtrack is dominated by the Broadway style Alan Menken does best. To be fair, the Powhatan’s approach to music is way less palatable for the American or European ear than Polynesian music is. It is also way more difficult to fuse into a musical due to consisting mostly of drums and vocals. 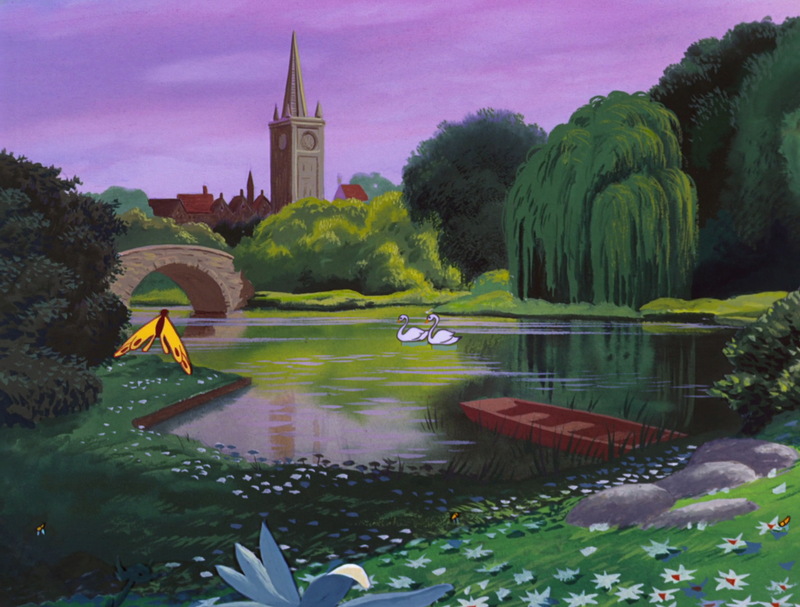 I still think that it could have had a bigger presence in Pocahontas. Not that Alan Menken’s work is in any way lacking otherwise. Pocahontas is a movie which wasn’t exactly loved by critics, but he nevertheless won two academy awards for his work. Moana only scoring one nomination in this category doesn’t automatically mean that he wrote the superior soundtrack, though. For one, him walking away with academy award seven and eight within five years prompted the academy to change the rules for the consideration of musical scores. And two, Moana faced stronger competition. At the end of the day, those are two very strong soundtracks. Moana’s songs just do a better job of giving the culture represented in a movie a voice. Quite literally, considering that Opetaia Foa’i sings a lot them himself. 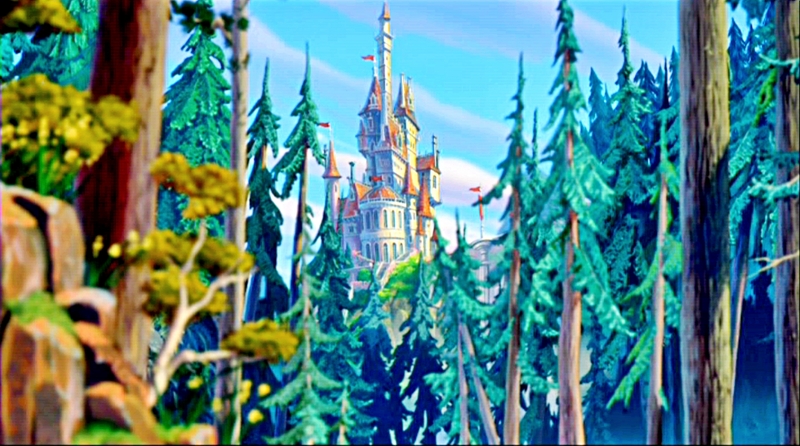 If there is one thing I adore about Pocahontas, it is the background animation, especially in the scenes when it moves from a realistic landscape to something which looks like it was inspired by a Franz Marc painting. Who happens to be my favourite artist. 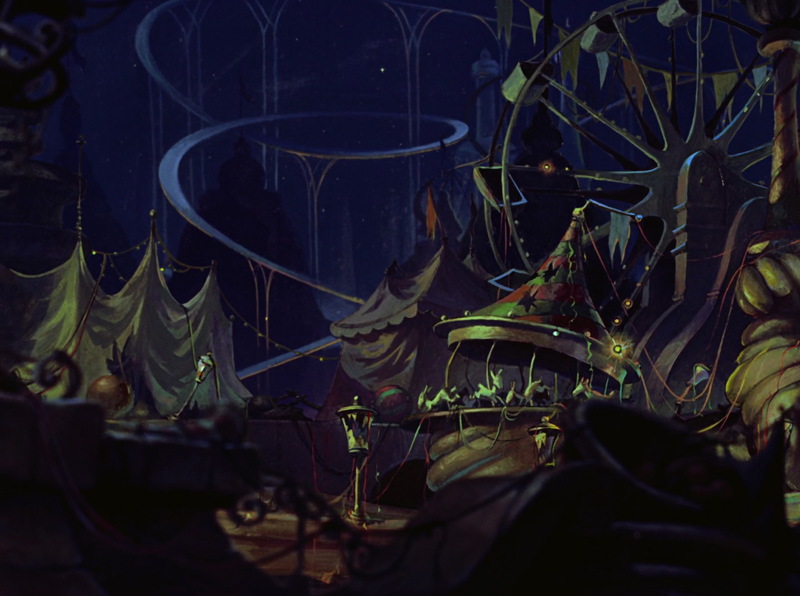 Which in turn might be the reason why I consider this my second favourite background animation Disney has done, after Sleeping Beauty. The colours pop, the details are exquisite, the landscapes are gorgeous! There isn’t anything I would want to improve about it. If I have one beef with the style, it is the character animation. Partly because I feel that Pocahontas looks too adult for the story they gave her. The question if Disney should sexualize “exotic” characters aside, this is a coming of age story. While the age of some of the heroines has always been a little bit iffy from a modern point of view, especially considering that they tend to fall in love with partners who are at least in their twenties, it kind of undermines the whole “growing up” aspect if the character looks, well, grown up. I always felt that Pocahontas grown-up body is a really bad fit for the story they are telling and hence very distracting. Another issue I have with the character animation is that this angular style doesn’t allow for much expression in the faces of the characters. Especially the size of the eyes are an issue here, the smaller the eyes the more difficult it is to convey expression through them, hence the need to balance this out in the rest of the face – for example, Mulan’s face switched from female to more male looking just by changing the eyebrows and her mouth allows for a lot of different expressions. But Pocahontas has in addition to the small eyes a mouth which barely allows any movement, hence all her expressions have to be conveyed through the eyebrows (which works well enough in close-ups, not so well from afar) and body movement alone. In the end, it is often the music or the dialogue which does the heavy lifting. Nearly all the human characters in Pocahontas have this problem to a certain degree, I think the only characters who are particularly expressive are the various side-kicks. Who as a result stick out, and not in a good way. They are so much more cartoony compared to the rest of the animation, it feels like there is a series of shorts cut into the movie at random moments, not just on a narrative but also on a visual level. Moana has the usual problems which come with CGI movies. The more of the animation is done by a computer, the less individual touch you will find in it. It is a little bit like the difference between having a DJ and listening to a playlist on shuffle. A DJ might have certain preferences, but he will also pick the music based on the audience and sometimes follow specific wishes. With the playlist you sometimes have the feeling that you can predict the next song, and you might even be able to. This is because the order of the songs are based on an algorithm, and while we usually don’t actively try to figure it out, subconsciously we get a sense for the order over time. Watching a CGI animated movie is a little bit the same way, there is just something familiar and predictable about the movements and the designs. 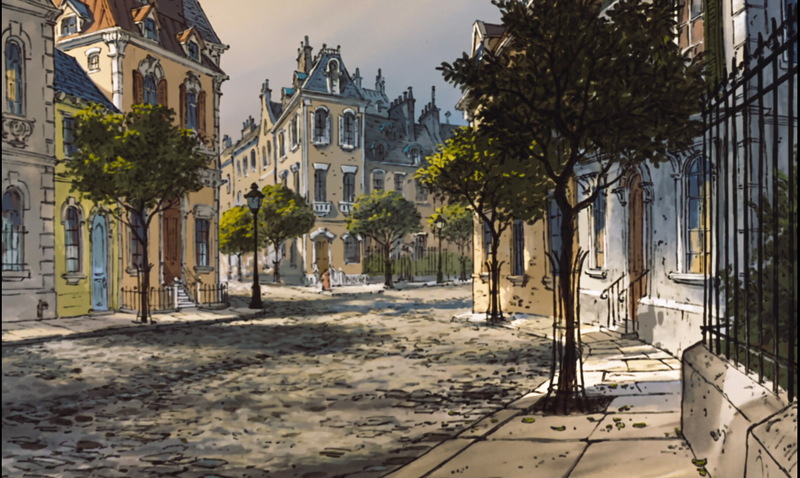 Thus said, the backgrounds are absolutely gorgeous. Animating water or hair is famously difficult, but Disney crushed the challenge. They also tried out more realistic body shapes. But above all, they went for a proper Disney Acid sequences. I really, really missed those! Even though the mix of CGI and 2D animation looks awkward overall, I give Disney a lot of credit for putting the art back into animation and trying out something different. I hope we will get more of this in the future. You can point to the number of native people involved in the respective production or to Disney having learned from previous attempts to tackle minority characters as explanation why Moana has been received much better than Pocahontas, but I think the actual difference is the mind-set behind those movies. Pocahontas was created with an eye on a possible academy award for best picture, at the same time the people in charge were not bold enough to try something truly revolutionary and different. As Walt Disney would have put it, they tried to top pigs with even more pigs. Moana didn’t have any ambitions like this. It only wanted to be the best possible movie about this specific culture. It does stand in the tradition of the Disney Princess Franchise (sometimes to its detriment), but it also tests out the boundaries of it. In short, the focus is where it should be, on the actual story, and not on some sort of award. Above all though (and that is a point Lindsey missed in her video), Pocahontas is pretty much the worst story one can pick regarding Native Americans. Because at the end of the day, Pocahontas is not a Native American story. It is a story which John Smith told (and most likely made up) about a young native who was kidnapped, forced into marriage and brought into London society. Meaning it is a story some white guy told about Native Americans. Disney didn’t really put the uncomfortable Colonialist BS into the story, it is inherent to the source material and I actually don’t see how you can remove it – though arguable Disney made it worse by turning it into a bland love story and a message about tolerance and peace. Not that I mind tolerance and peace, but considering what happened to the Native Americans, they might have been better off if they had destroyed every ship which ever managed to reach their shores, thus preventing being overrun by people who had no regard whatsoever for their way of live or their culture – and who brought deadly diseases with them. Moana on the other hand is based on actual native myths – kind of. The story the movie tells is entirely original, its only nod to Polynesian mythology are the deeds Maui lists in “You’re welcome” and his backstory. But that is pretty much the Disney approach to everything they adapt, especially when it comes to their mythological based movies. And I really don’t buy into the notion that there are different rules depending on from which culture Disney borrows, because at the end of the day, there are two choices: Either you want Disney to go out of the box and tackle something other than Western myths and literature, or you don’t. If you don’t, this is totally understandable – it would be a lie to claim that I am not sometimes a little bit frustrated by the way Disney permanently changed the perception on the fairy of my own culture (no, Snow White wasn’t awakened by a true love’s kiss, damnit!). But if you want Disney to represent your culture too, than you shouldn’t complain about the result being a Disney movie, meaning a reinterpretation and not a simple retelling. Disney doesn’t do those. Like, ever. I can’t think of a single Disney movie which didn’t put a twist or two on the source material. To be clear, that doesn’t mean that Disney shouldn’t do its research and naturally the rules are entirely different the moment they tackle the fate of an actual person, which is why I feel that Disney should just stay away from actual historical events. Moana is entirely made up, the only historical aspect in the movie, aside from going out of its way to portray details like the clothing, drums, ships and constellations correctly, is that the Polynesians really stopped travelling from Island to Island for a while at one point in history and nobody quite knows why. Disney’s explanation is as good as any other. I have to give Disney props for the nature of the story they choose to tell in Moana. Pocahontas is at its very core the attempt to acknowledge the arrogance of the first settlers while also trying to find excuses for them. It is not really about the plight of the indigenous people or even about their culture outside of contrasting it to the Colonialist point of view. But Moana is not just about self-discovery, it is above all reclaiming your own roots. It is not just a movie about Polynesian culture, it is a celebration of it. As it should be. While Disney movies are usually timeless, they also tend to reflect the status of society in the period in which they were made. It is therefore not really surprising that a movie which is made today does a way better job respecting foreign cultures than one which was created two decades earlier, when Disney was just dipping its toe into the notion of featuring a different culture in their movies. Regarding the overall quality of the movies in question, both are in their own way flawed. Not on a technical level, in terms of animation and music both of them shine. But narratively, they both have issues. Pocahontas has an overall solid structure, but a predictable narrative which doesn’t take any chances. Moana takes more risk, but has structural issues which undermine the movie at various points. I feel that both movies would have profiteered from being less beholden to the Disney Princess tropes. As I said before, the purpose of this series is not to declare a winner when I compare two movies. And I will stick to it. No, the fact that this movie is full of icon’s featuring Pocahontas is not an indicator of preference, not at all. Truth is, since Moana is a fairly new release, I haven’t created any icons featuring her yet, and forcing myself to do some just for this article didn’t feel right. But, as you can see, I have a whole bunch of Icons relating to Pocahontas created back when I was still participating in Icon contests. Which is why I used them freely for this article. And you are free to use them too, if you want to. I’ll say this about those movies, though: Personally I have an easier time to forgive flaws in a movie which takes narrative risks than in one which goes for a more run-of-the-mill story. But I am also a sucker for artful animation and a catchy soundtrack. Make out of this what you want.